Click here for audio of Episode 1539. Today, a wind blows by us. The University of Houston's College of Engineering presents this series about the machines that make our civilization run, and the people whose ingenuity created them. Aerodynamics is all about flow around airfoils or golf balls or submarines. It's about gases and liquids parting to move around solid bodies. But fluids have an odd property that we didn't really see until the invention of the airplane drove us to look more closely. It is that fluids stick to bodies. That means two kinds of drag affect any body. One's the pressure that builds up as, say, your moving car pushes air aside. The other is fluid dragging on the surface -- the kind of resistance you feel when you pull a knife out of a cold jar of honey. That resistance adds to the pressure drag when you drive down the highway. If you could get very close to the surface of your moving car and measure the speed of air next to it, you'd find it moves at the same speed as the car. But that speed falls off sharply as you move away from the surface. Within a fraction of an inch, the air is practically still once more. That thin little region where the changing airspeed is concentrated is called a boundary layer. The boundary layer became the major focus of aerodynamics in the early 20th century. The whole picture of flow around any body is drastically affected by that tiny region -- something we began to realize just as the Wright Brothers finished their airplane. 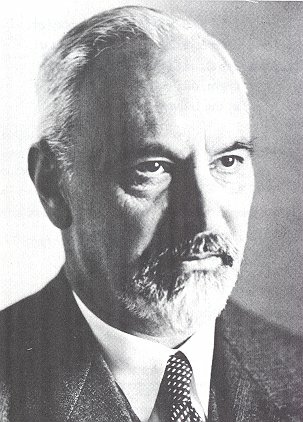 A key player in that process was the great German mathematician Felix Klein. A gulf had grown up between science and engineering, and Klein had a plan for bridging it. He created a system of technical institutes. 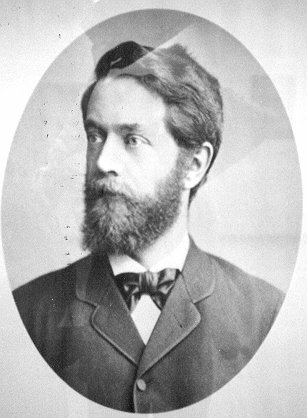 The person he put in charge of the new Institute for Technical Physics at Göttingen was the young engineer Ludwig Prandtl. And Prandtl had caught Klein's eye when he gave a brilliant paper on the mathematics of the boundary layer. At Göttingen, Prandtl gave theoretical aerodynamics its modern form. His work helped Fokker to shape the airplanes that gave Allied armies such headaches over the trenches in WW-I. Prandtl's students were still shaping fluid mechanics when I was a student. One of them, Theodore von Karman, worked at Cal Tech. And there he wrote about Prandtl in his own autobiography. Prandtl's life, he said, was marked by overtones of naïveté. When Prandtl was thirty-four, he decided it was time to marry, so he went to his old professor to ask his daughter's hand in marriage. But Prandtl didn't say which daughter. The canny professor and his wife had a hurried caucus and prudently decided it should be the older one. That was fine. The marriage was a long and happy one. Prandtl died in 1953. Three years later, that thin little layer of fluid was at the center of my own graduate studies. Now the problem was how to make boundary layers thick enough on nose cones of returning rockets to buffer the terrible heat of re-entry. (That's why nose cones are blunt, not pointed. It's to keep astronauts from burning up.) The boundary layer is such a little thing, but like the fabled horseshoe nail, everything depends upon it. The boundary layer is treated in almost any book on fluid flow or heat transfer. I give an entry-level discussion of it in: Lienhard, J. H., A Heat Transfer Textbook, 2nd ed., Englewood Cliffs, NJ: Prentice-Hall, Inc., 1981, Chapter 7. The classical treatment is given by another German fluid mechanic, Schlichting, H., Boundary Layer Theory, (6th ed, tr. J. Kestin), New York: McGraw-Hill Book Co., 1968. Lienhard, J. H., Prandtl, Ludwig., Dictionary of Scientific Biography, Vol. XI, (C.C. Gillespie, ed.). New York: Charles Scribner's Sons, 1975, pp. 123-125. The Engines of Our Ingenuity is Copyright © 1988-2000 by John H. Lienhard.